Last year, Kalmbach Media, home to publications like Discover and Astronomy, announced plans to reinvent itselfthrough revenue-garnering expansions, rebrandings and new partnerships. In its latest move, the publisher has entered into a marketing partnership with Chicago-based media company Curiosity. One of those options is Curiosity’s highly engaged app audience, which brings new opportunities to both advertisers and Kalmbach. 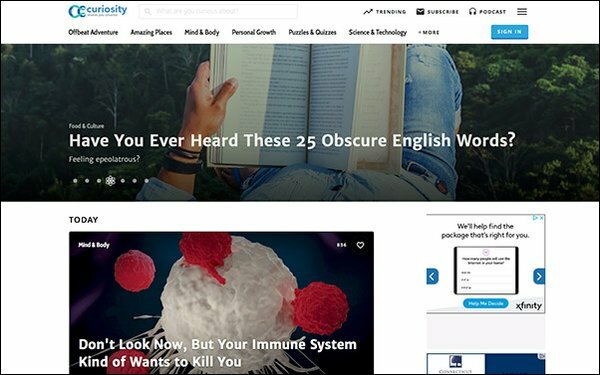 The partnership expands Kalmbach’s science audience of 10 million to over 19 million, offering marketers a deeper audience across all platforms, including magazines, web sites, email newsletters and social platforms. The two companies also share a healthy overlap in the science category, while the partnership boosts ad opportunities for marketers with the addition of travel, technology and mind and body content verticals from Curiosity. Paulson noted that Kalmbach and Curiosity are both in the process of developing native content programs across platforms. Kalmbach’s ecommerce business is complementary to Curiosity’s audience. “We’re very like-minded in a fragmented and disparate science media space,” he said.